Being a rookie card collector and with Topps having the only MLB rookie cards, I had to take a dive. Especially with Bowman that is loaded with them. 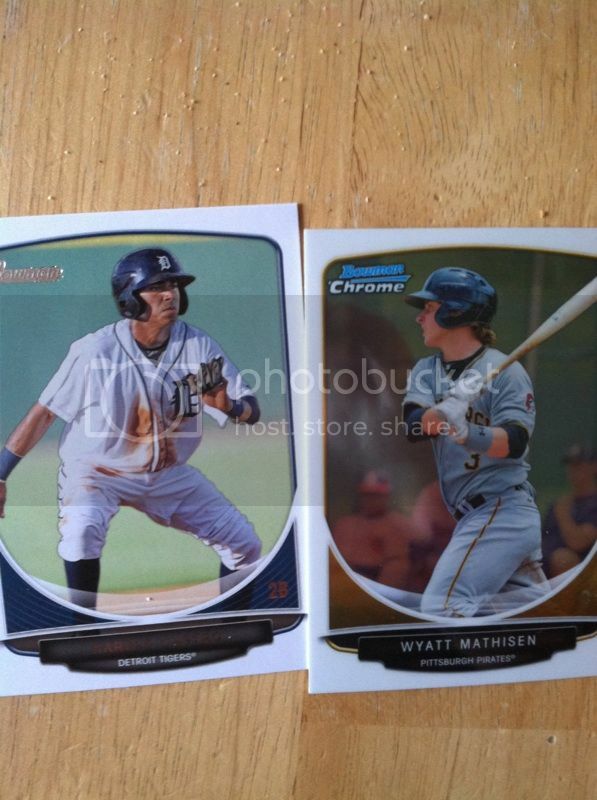 As the box states, its truly the home of the rookie (prospect) cards. Here are my thoughts on this product. Let me know what you think in comments! Look for One Autograph Card Per Box! One Silver Ice Parallel Per Box! 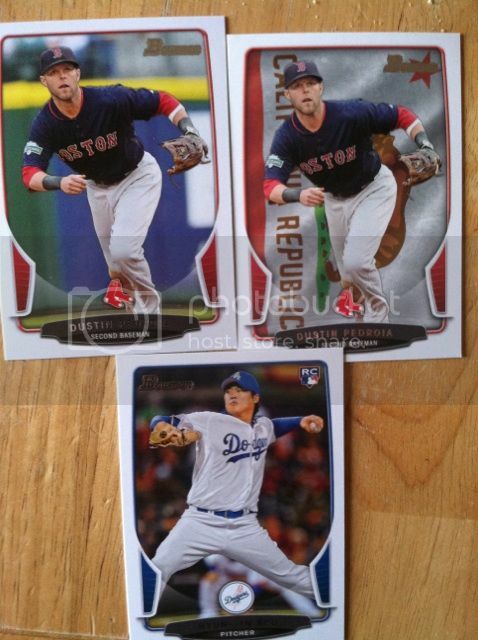 BASE CARDS: I will call them the usual Bowman look. Meaning a wrap around border sometimes white sometimes black and the photography in the middle. I do wish they would lessen the border and show more photography, but this isn't one of the worst ones I have seen. The prospect borders are a little too thick. They should have stuck with the base card one. I do wish they did more of the Stadium Club type of design with little border and great action photography. Above, take note, that I also included the State/Hometown parallel and compared it to its base. If you are not paying attention to the cards when you sort you might not even notice you have one. I almost passed right by this one. I think a different color to the card itself, maybe a silver cardboard will help stand these out more. INSERTS: A huge upside to this product is the rest of the inserts. Especially if you are a chromie like myself. You find refractors of multiple colors (only plain in this box), colored parallels, Silver Ice parallels (I really like these) among prospect inserts. 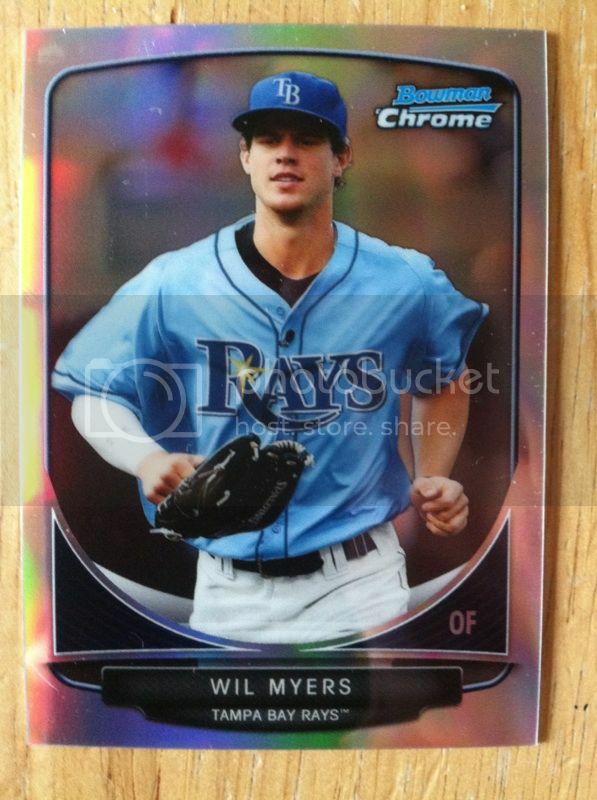 I was totally excited to see chrome refractor minis (Will Myers above) added to this product. They are called the Cream Of The Crop. 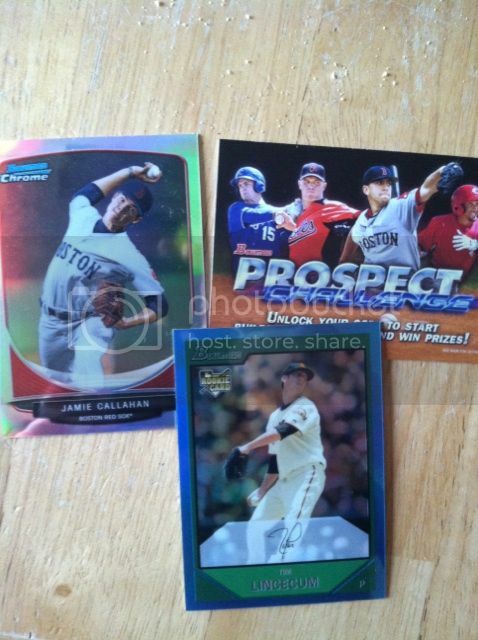 I also like the Blue Sapphire reprint refractors as well and for some reason our pull of Tim Lincecum isn't shown. The one negative (not really too much of a negative) with the inserts is the gold parallels that fall one per pack. I would prefer a bonus rookie card or prospect card instead. They are just an boring insert and are worth as much as a base card. The one thing I haven't figured out yet is if I will bother playing the prospect challenge or not. You can win prizes, but I don't usually fare well at those things. AUTOGRAPHS: We hit an autograph refractor parallel numbered to 500. 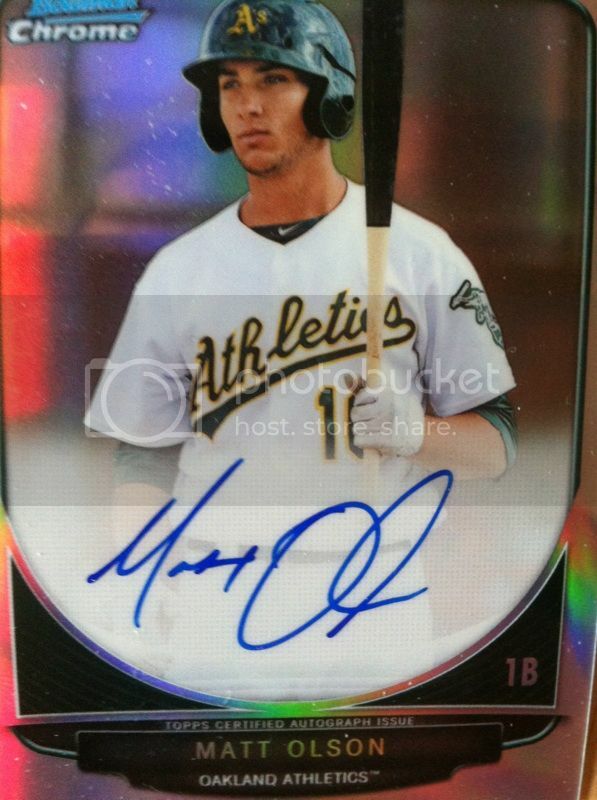 Have heard this guy might have a chance in the majors someday so hopefully by sitting on this card he will be worth it. With so many prospects in this product you never know who you are going to land. So not every break will have a shining star in it. 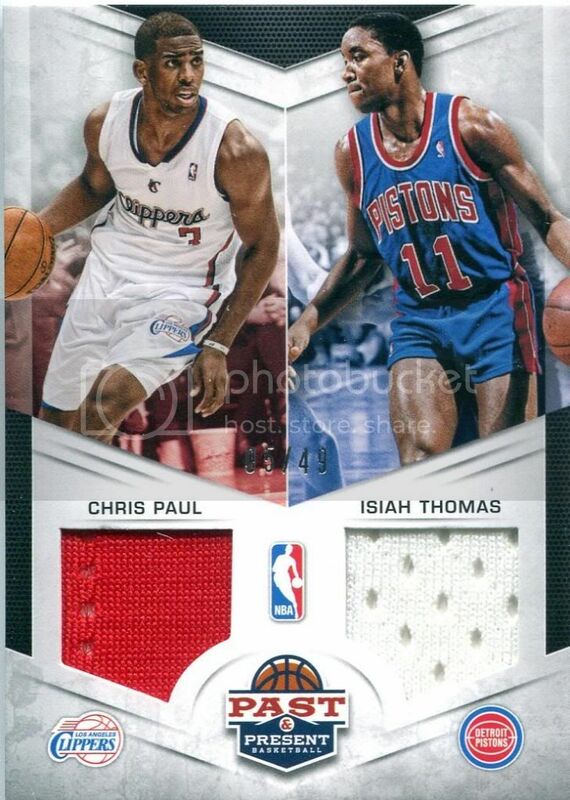 JERSEY/PATCH CARDS: N/A In this break. They can be found at very hard odds. OVERALL THOUGHTS: With this being rookie loaded, insert and parallels at a decent rate and one prospect auto..I think this is a decent price for the product and would probably recommend it. Even if you don't hit it big with a Buxton auto..you still might be sitting on an MLB star. Other than the base cards, the gold parallels, the final negative was the fact I didn't hit a Buxton prospect card of any sort. That was disappointing. But overall, give it a try and let us know how you do! 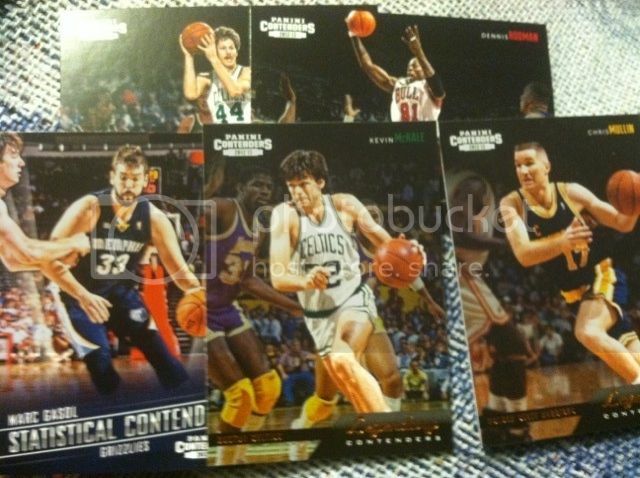 I loved last years Past and Present product and with this years product loaded with rookies it was very tempting. However, can't say I was overly impressed with a rack pack breakdown. 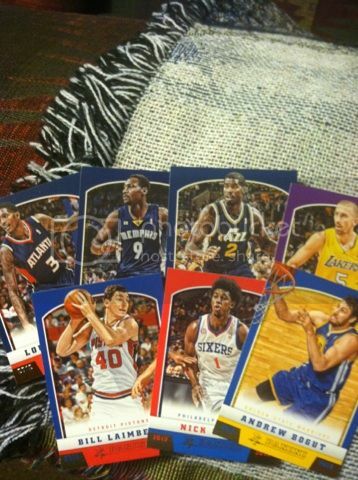 Was happy to get 8 rookie cards, but no big names. Didn't hit a single insert either. I would have liked to seen an insert or two. Maybe one big name rookie. I am sure with the 8 rookies I got my $5 worth. But wanted more. Let me know your thoughts on this break and if you have given this product a try yet. Thanks to Jammin JDcards for providing us with the FANdom Card Of The Day. If you have a FANdom Card Of The Day you would like to share. 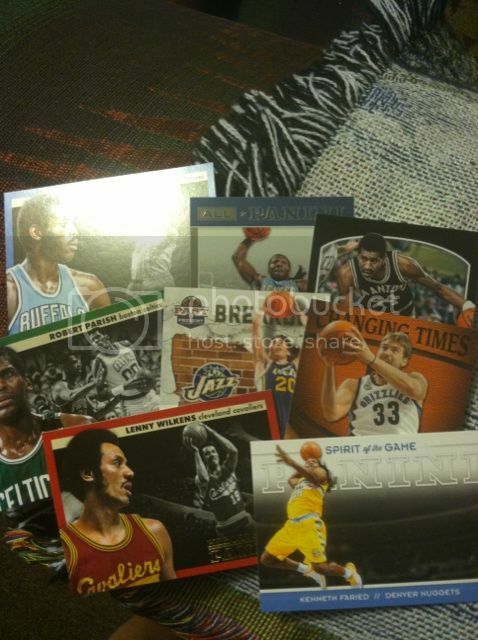 Just email us at sportcardcollectors@hotmail.com and tell us what your card is and send us a pic. 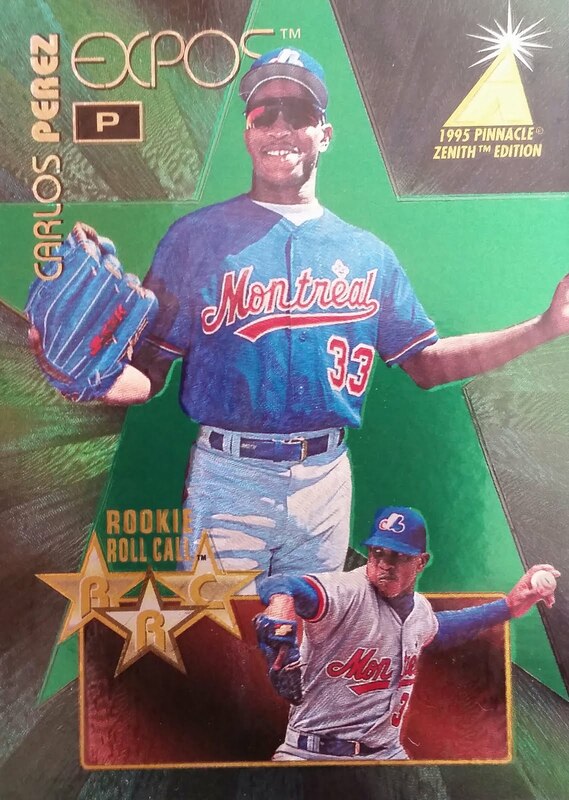 For the past 14 years, Rookies and Stars has been out on the market and this year it makes another solid return in late August. 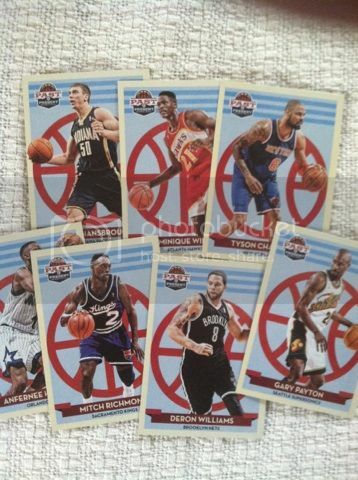 Each hobby box will have eight cards per pack and 24 packs per box. Each hobby box will pack out four autograph or memorabilia cards (at least two autographs guaranteed), 24 Rookie Cards, six parallels, two Statistical Standouts, two Touchdown Club, two Game Plan, two Crusade and two additional inserts or parallels. The absence of the Crusade insert makes its stunning return. I think the design looks great and will be one of those late 90's reminders of how great inserts looked back then. This years rookie design is different then past years that had a manufactured patch signed. This should greatly improve an already great product. But I know a lot complained about the manu patches. Not me, I actually like them. But this should cut down on those complaints. The only problem I had with the manu patch was sometimes the autographs would run. Let us know your thoughts on Rookies And Stars 2013! Panini is heading back to Cooperston in mid August with its release of Cooperstown baseball 2013. In this years product, each hobby box has 24-packs and should deliver one on-card autograph, two Cooperstown Lumberjack wood cards, six Green Cracked Ice, one Gold Cracked Ice , three Blue Cracked Ice, two Red Cracked Ice, two Base SPs, 24 Colgan’s Disks, four Historic Tickets, three Museum Pieces and one 5 by 7 Cooperstown Lumberjacks Die Cut or Pennant box-topper. I think from the early stages of this product it sounds like a good sequel to last years hit. I like the fact there are many Cracked Ice variations in the product. That was a great addition to a lot of their products this year and will be to this one as well. Let me know your thoughts on this years Cooperstown and last years if you tried it. Bloggers Note: This is a bonus edition of a series of 4 Tips On Collecting Sorting edition. So technically it makes 5. Now remember, this is how I sort my cards. These tips are to give you some ideas on what you may want to do with your own collection and not what you have to do. Since I don't sell any cards and keep what I get, there is a lot to sort and this is how I break it all down. It starts with a pack or two of NASCAR, Soccer, MMA, Wrestling, Golf, NASCAR, Big Bang Theory or many others. This is how I would break down all of them. These are on and off collections so these won't break down as much as the 4 main sports I collect. For Non Sport Cards, for the most part they just go straight into a white box by number depending on what they are. The only exception is the Big Bang Theory. Those go into a binder. I love that show and obviously treasure the cards so they have a special place. If I happen to pull any hit, I put those into a top loader than into a tote of its own. For MMA and wrestling, those actually go into a small binder by themselves. A lot of MMA cards have glimmer and shine and I think those look outstanding in a binder. So for me, those get a binder to themselves. The hits I get from these, meaning gear or autographs get placed into penny sleeves and top loaders or the 25 count boxes. Golf, I take out the rookies, inserts and Tiger Woods and those get put into a binder. The rest I put by number into a white box along with the other sports. Soccer, i just take out the inserts and the rookies and put them into a binder with Golf. And the rest of them get put into a white box along with the other sports. And finally for NASCAR, I take out the inserts and hits meaning material or autographs get placed into penny sleeves and top loaders or the 25 count boxes while placing the inserts into a binder of their own. The one thing I like about NASCAR cards is that Press Pass does great things with their innovations for the cards. So after the hits are taken out, I take all of the inserts and put them into a binder by themselves. The remaining cards get placed by number into the white boxes along with the other sports. I also take all duplications out from these except for the rookies. The duplications I use at my yard sales for cheap to keep the hobby alive and the double inserts and some of the other stuff I use for giveaways on here. All of these sports are on and off. I always have a place for cards and if I get the hankering to try a sport or product I will proceed with it (as long as the funds are there to do so) There are other odds and ends I collect as well but these ones stand out the most to talk about. My expansion into a more complete sorting of these sports may happen in the future once I get more so its a ways down as my focus will be on hockey first. But with these I might be pulling out more of the star players could be a possibility. Also, one of the things I didn't post about is at one time we used to keep all of our Jersey cards and Autograph cards on a Microsoft Excel Spreadsheet. When I was doing that, I would type up what year, brand, player, card, number, and value. Then use Beckett every other month to progress the cards value up or down. After awhile of back-stocking a lot of jersey and auto cards and not getting it typed up we saw that time was against us so we quit this part of sorting. Also, having to search for something isn't always a bad thing. All of our autograph and jersey card totes are marked by sport and its sometimes fun to make a travel into them to search for something you are looking for. You never know who you will find. Let us know what other Tips On Collecting you would like to read about in comments below and let us know how you sort the cards we discussed above for everything else sorting. Bloggers Note: This is the fourth of a series of 4 Tips On Collecting Sorting edition. Now remember, this is how I sort my cards. These tips are to give you some ideas on what you may want to do with your own collection and not what you have to do. Since I don't sell any cards and keep what I get, there is a lot to sort and this is how I break it all down. It all starts with a pack or two of hockey cards. After opening them up, you may ask, what do I do with them now? Some of you may toss the base cards in the trash or off to the side. Then you may take out your PC stuff and then the rest is for sale. As for how I would sort these, this isn't how I would do it. After opening up hockey cards, I know there is a long road to sorting. But not as long as the other two sports I collect more of. hockey is an occasional sport for me. It all depends on the rookie class whether I buy in or not. Or the product. First I search for rookies and rookie inserts and those make up Pile One. I then take out the remaining inserts or hits for Piles 2 and 3 is if there is a jersey or auto hits. Pile 4 will consist of Wayne Gretzkys. And that leaves pile 5, which are base cards. There is even a Pile 6 but that will come later on. Pile 2,All of the inserts, unless Wayne Gretzky, get placed into a binder. If they are valued at $20 or above, they get placed into penny sleeves, then top loaders, then into a tote marked inserts. Pile 3, jersey or thick cards are placed into a 50-100 count plastic box. If I happen to have a 25 count box, perfect size for jersey cards without damaging them, I use that so they are all in their own cases. 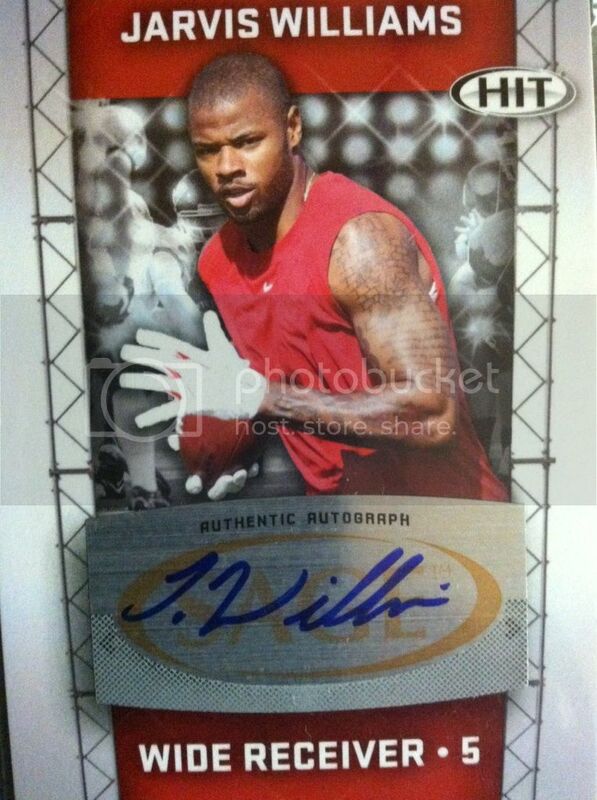 The autographs I place into penny sleeves then into top loaders and into a separate tote. Pile 4 are just Wayne Gretzky's. I don't have many but he gets put into a very small binder. At some point I hope to expand my hockey stars folder and do what I do with the other sports. I used to be a huge hockey card collector then backed off a little. Recently I have added a few more hockey cards to my collection so maybe as time goes on I will get them sorted more and pull stars out like Sidney Crosby, Taylor Hall, Alex Ovechkin and others. Thats another future project. I would like to expand in this area. Pile 5 can be the most time consuming of all. I take all of the base cards, sort them by number. I then place them into 800 count white boxes. I label them by brand and year. The outside of the box I put a number depending on what box I am on but for an example 7. I then take the number 7, write it into a book. And write the contents inside for easy searching. Depending on how many I have of each product, every box holds between 6-7 different brands. And finally this leaves us with Pile 6, which is the duplications. The inserts I use for giveaways on here among other cards :) The double base cards and star players I use to build the Yard Sale boxes I spoke of on here a couple of times. Now this seems like a lot of work and yes it is. So don't ever fall too far behind on sorting. But I find this sorting really efficient and easy to find stuff you need or are looking for. Let me know your thoughts on this crazy sorting. And how you sort your hockey cards. Bloggers Note: This is the third of a series of 4 Tips On Collecting Sorting edition. Now remember, this is how I sort my cards. These tips are to give you some ideas on what you may want to do with your own collection and not what you have to do. Since I don't sell any cards and keep what I get, there is a lot to sort and this is how I break it all down. 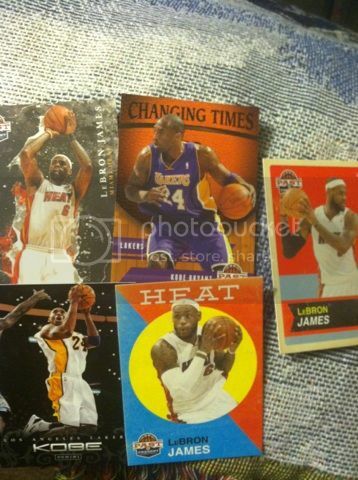 It all starts with a pack or two of basketball cards. After opening them up, you may ask, what do I do with them now? Some of you may toss the base cards in the trash or off to the side. Then you may take out your PC stuff and then the rest is for sale. As for how I would sort these, this isn't how I would do it. After opening up basketball cards, I know there is a long road to sorting. But not as long as the other two sports I collect more of. Basketball is an occasional sport for me. It all depends on the rookie class whether I buy in or not and how much I get. Or the product. First I search for rookies and rookie inserts that makes up Pile One. I then take out the remaining inserts or hits for Piles 2 and 3 is if there is a jersey or auto hits. Pile 4 will consist of Star players (players I consider a star I base on if they are listed under a products pricing in Beckett and players I like). And Pile 5 leaves us with the base cards. Pile 6 is for duplicates. Pile 2, the inserts, I take out the star players I keep like I do in Pile 4 and place them in that pile. With the rest I put them into my insert binder unless the insert is valued above $20. The ones valued over $20 get placed into a penny sleeve, top loader and are placed into a tote that is labeled inserts. If there are any duplications, those get pulled and placed into Pile 6. Pile 4 of star players get sorted by player, then placed into a 800 count white box labeled Bsktbll players on the outside. Each player is labeled and separated by index cards. I used to store these in binders but found it easier to use the boxes. If there are any duplications, those get pulled and placed into pile 7. Sometimes with these it takes extra work if you buy older products. I go through and search just to make sure I don't have any duplications between the new one I just got and to the older ones already in the box. Can be time consuming. And finally this leaves us with Pile 6, which is the duplications. The inserts I use for giveaways on here along with others :) The double base cards and star players I use to build the Yard Sale boxes I spoke of on here a couple of times. Let me know your thoughts on this crazy sorting. And how you sort your basketball cards. Update: We also forgot to add what we do with cards such as Upper Deck. 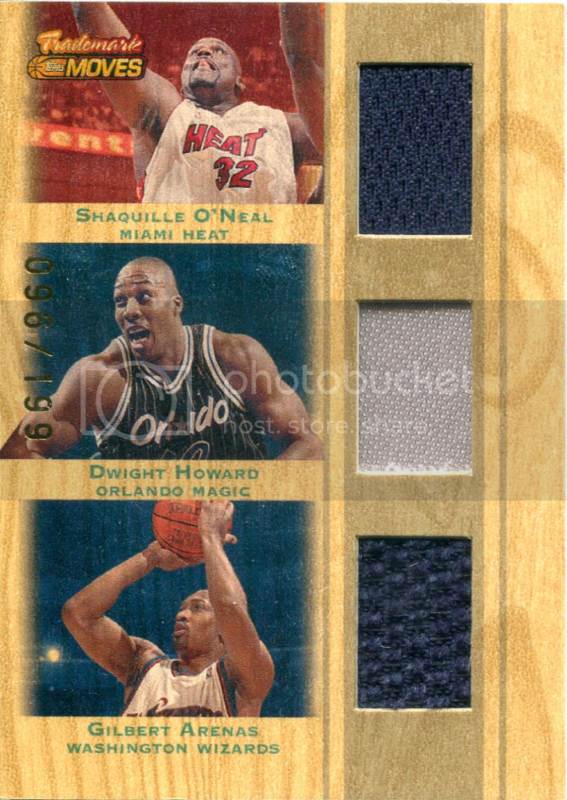 Since these cards we don't consider rookies since they are not NBA licensed, they get put into a small to medium sized binder marked by the year we get them. The binder is marked 2012-2013 for this year. 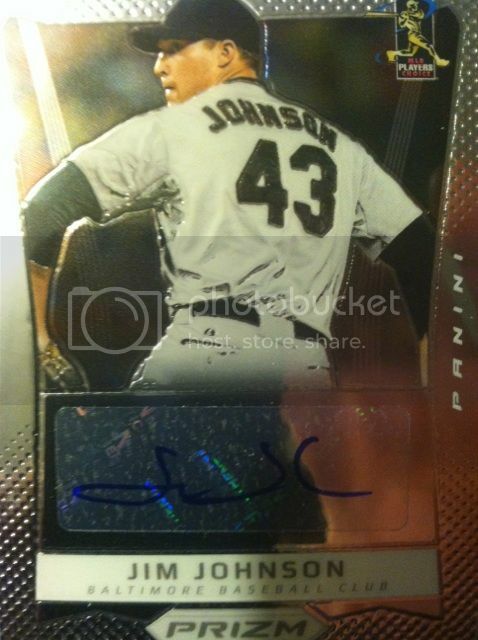 Thanks for Jammin JDcards for providing us this card to us for your viewing pleasure! Let us know your thoughts on this card. Thanks to Jammin JDcards for providing us this card for your viewing pleasure! If you want to join in on FANdom Card Of The Day...send us a picture and what the card is to sportcardcollectors@hotmail.com. Here are the prizes for our June Monthly Contest. Good Luck to all of our participants! This contest starts on June 1st. Come on out for the challenge! This months prize lot is an estimated value (meaning a roundabout Book Value) of $90-$100!! Wow! NEW BONUS PRIZE ADDED FOR FIRST PLACE WINNER!!!! Our friends at Jammin JDcards is putting in a Football blaster of their choice that they will break live on ustream and the winner of this contest gets to choose either NFC or AFC and Jammin JDcards will ship all of the cards from the conference the winner chooses in the box break. Not a bad deal at all! Make sure you say thank you to Jammin JDcards and to follow them on Twitter as they do box breaks, contests and more on there. Great guy to talk to as well. Thanks to Jammin JDcards for providing us with the FANdom Card Of The Day for your viewing pleasure! 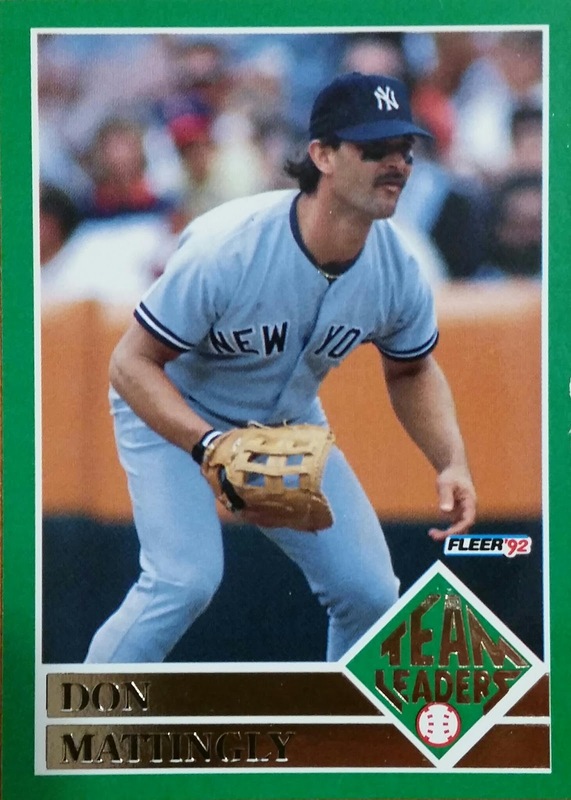 For the first time in 15 years...the baseball card market will see Pinnacle again. And I for one am very excited. I remember all of the classic Pinnacle products. Pinnacle Inside, Pinnacle, Pinnacle Mint, Pinnacle Summitt among many others. And for Panini to revive one of my favorite lines makes me want to put more focus back onto collecting baseball cards again. 2013 Pinnacle Baseball will have 24 eight-card packs per hobby box and should contain: two autographs, three Museum Collection, two Artist’s Proofs, four Awaiting the Call, three Team 2020, two Position Powers, one Behind the Numbers, three Clear Vision, two Team Pinnacle, two Slugfest, one Aces, three Pinnacle of Success and two Swing for the Fences. With classic returns of Artists Proofs along with some newer adds this could be an easy trip down memory lane for those of us who collected Pinnacle back in the early 90's. I know I used to search packs looking for the Nufex technology and Artists Proofs in my packs and now I will be given that opportunity all over again. 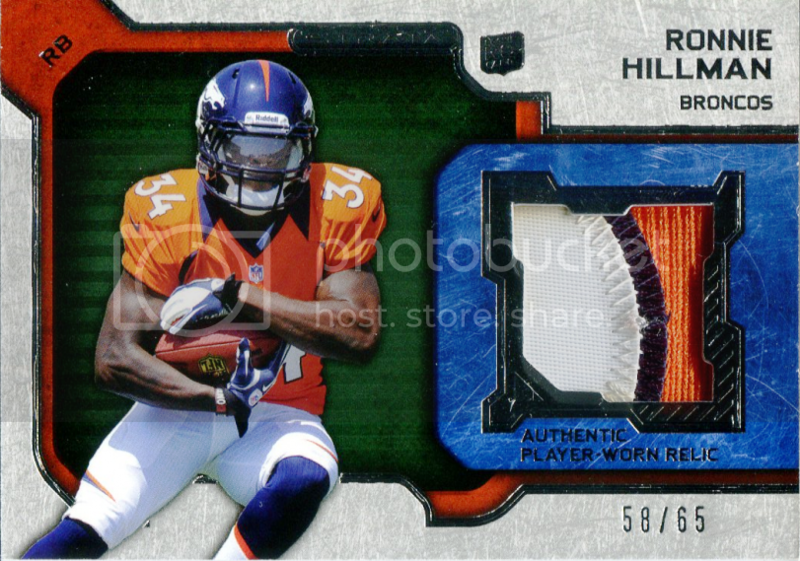 Let us know your thoughts on Panini reviving the Pinnacle brand! Bloggers Note: This is the s of a series of 4 Tips On Collecting Sorting edition. Now remember, this is how I sort my cards. These tips are to give you some ideas on what you may want to do with your own collection and not what you have to do. Since I don't sell any cards and keep what I get, there is a lot to sort and this is how I break it all down. It all starts with a pack or two of football cards. After opening them up, you may ask, what do I do with them now? Some of you may toss the base cards in the trash or off to the side. Then you may take out your PC stuff and then the rest is for sale. As for how I would sort these, this isn't how I would do it. After opening up the football cards, I know there is a long road to sorting. First I search for PC, NY Giants. Pile One. I then take out the inserts or hits for Pile 2 and 3 is if there is a jersey or auto hits. After that I take out all of the non autographed/ jersey rookies making up Pile 4. Pile 5 will consist of Star players (players I consider a star based on if they are listed under a products pricing in Beckett and a few others I like as well). And that leaves pile 6, which are base cards. There is even a Pile 7 but that will come later on. Now with Pile 1, I separate my favorite NY Giants pile out players out. Eli Manning, Hakeem Nicks, Victor Cruz, David Wilson, Reuben Randle. Those guys are my favorite and get a section to themselves in the NY Giants binder. After that, the rookies get their own section. The remaining Giants just go into the binder in the back section. I sometimes will have to backtrack to make sure I don't have duplicates of the cards I am putting in. Those duplicates I put into Pile 7. I label the outside of the binder with a NYG1. All of my binders are labeled. Pile 2, With the inserts, I take out the star players I keep like I do in Pile 5 and place them that pile. I also pull any rookie inserts and put them by themselves. They get placed into a binder marked RC Inserts. This is the only sport I do this with. With the rest of the inserts I put them into my insert binder unless the insert is valued above $20. The ones valued over $20 get placed into a penny sleeve, top loader and are placed into a tote that is labeled inserts. If there are any duplications, those get pulled and placed into another pile which we call Pile 7. Pile 3, jersey or thick cards are placed into a 50-100 count plastic box. If I happen to have a 25 count box, which is a perfect size for jersey cards without damaging them, I use that so they are all in their own cases. The autographs I place into penny sleeves then into top loaders and into a separate tote. Pile 4 of rookies gets separated by teams. Then they are placed into a binder that way as well. The binder has separators with team names. If there are any duplications, I keep em. Hobby is all about rookies and you never know who will turn big. Pile 5 of star players get sorted by player, then placed into a 800 count white box labeled Ftball players on the outside. Each player is labeled and separated by index cards. I used to store these in binders but found it easier to use the boxes. If there are any duplications, those get pulled and placed into pile 7. Sometimes with these it takes extra work if you buy older products. I go through and search just to make sure I don't have any duplications between the new one I just got and to the older ones already in the box. Can be time consuming. Pile 6 can be the most time consuming of all. I take all of the base cards, sort them by number. I then place them into 800 count white boxes. I label them by brand and year. The outside of the box I put a number depending on what box I am on but for an example the number 7. I then take the number 7, write it into a book. And write the contents inside for easy searching if I happen to buy more of the product or have to go back and search for a player. Depending on how many I have of each product, every box holds between 6-7 different brands. And finally this leaves us with Pile 7, which is the duplications. The inserts I use for giveaways on here along with other cards:) The double base cards and star players I use to build the Yard Sale boxes I spoke of on the blog a couple of times. Keeping the hobby alive at a cheap price! Now this seems like a lot of work and yes it is. So don't ever fall too far behind on sorting. But I find this sorting really efficient and easy to find stuff you need or are looking for. Not to mention weeds out your doubles. Let me know your thoughts on this crazy sorting. And how you sort your football cards. Update: We also forgot to add what we do with cards such as Upper Deck, Press Pass and Sage. Since these cards we don't consider rookies since they are not NFL licensed, they get put into a small to medium sized binder marked by the year we get them. 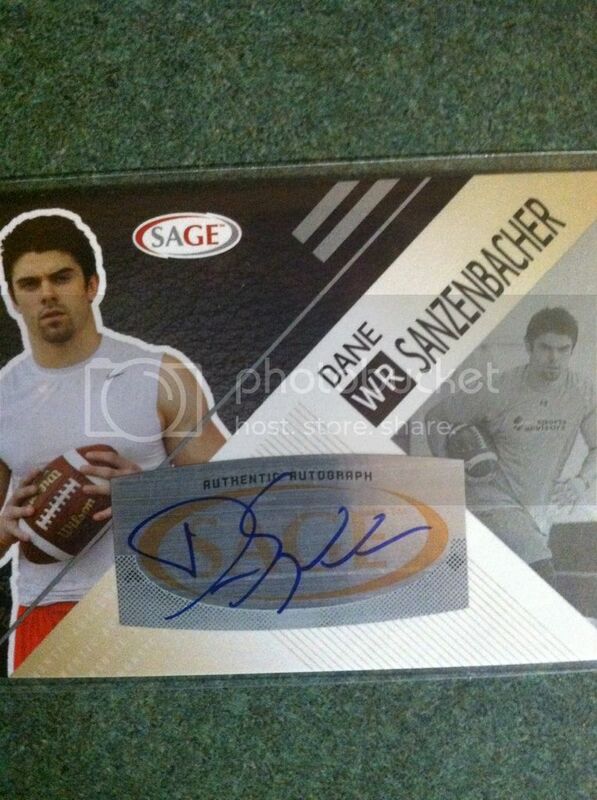 For example, we picked up some Upper Deck and Sage Hit 2013. They are presently sitting in a binder marked 2013. Bloggers Note: This is the first of a series of 4 Tips On Collecting Sorting edition. Now remember, this is how I sort my cards. These tips are to give you some ideas on what you may want to do with your own collection and not what you have to do. Since I don't sell any cards and keep what I get, there is a lot to sort and this is how I break it all down. It all starts with a pack or two of baseball cards. After opening them up, you may ask, what do I do with them now? Some of you may toss the base cards in the trash or off to the side. Then you may take out your PC stuff and then the rest is for sale. As for how I would sort these, this isn't how I would do it. After opening up baseball cards, I know there is a long road to sorting. First I search for PC, Yankees, Ken Griffey Jr., Derek Jeter which is Pile One. I then take out the inserts or hits for Pile 2 and 3 is if there is a jersey or auto hits. After that I take out the non auto/jersey cards with the rookie symbol or if its a Bowman or Panini Elite Extra Edition product prospects will go there as well making up Pile 4. Pile 5 will consist of Star players (players I consider a star I base on if they are listed under a products pricing in Beckett and ones that I like as well). And that leaves pile 6, which are base cards. There is even a Pile 7 but that will come later on. Now with Pile 1, I will go into a binder with the rest of the Yankees. I label the outside of the binder with a NY1. All of my binders are labeled. I sometimes will have to backtrack to make sure I don't have duplicates of the cards I am putting in. Those duplicates I put into Pile 7. I then follow suit with the Ken Griffey Jr. and Derek Jeter Cards. I have an 2 old Trapper Keepers with their photos on them so I know which binder is for which player. I put the cards in and place the duplicates in Pile 7. Pile 2, I take out the star players I keep like I do in Pile 5 and place them there in Pile 5. With the rest I put them into my insert binder unless the insert is valued above $20. 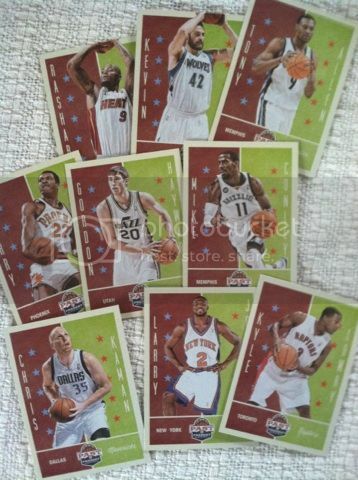 The ones valued over $20 get placed into a penny sleeve, top loader and are placed into a tote that is labeled inserts. If there are any duplications, those get pulled and placed into another pile which we call Pile 7. Pile 4 gets separated into 3 piles. You can call that 4a, 4b, 4c. 4a is for True Rookies as listed in Beckett. If Beckett doesn't list a rookie as a true rookie meaning the RC symbol next to their name, that gets put into the 4c pile. 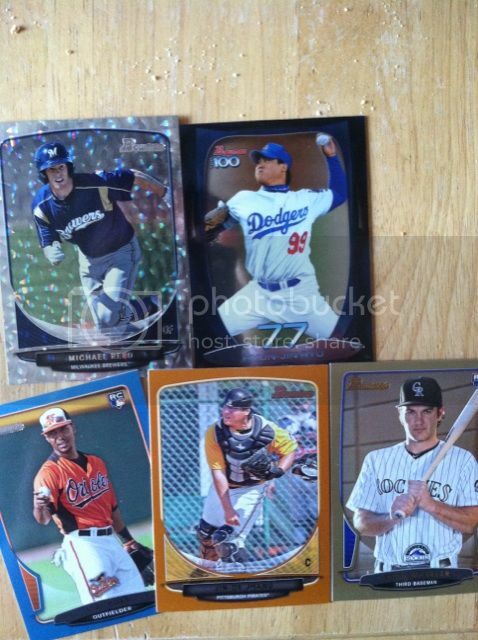 4b pile is for Bowman Prospects or Elite Extra Edition cards. And the last pile, 4c, is for the ones marked rookie on the card but are not True Rookies. With the True Rookies, I sort those by teams then place them into a binder that has separators for each team and are labeled that way. The prospects get their own binder but are not sorted by team but sometimes may be sorted by number . 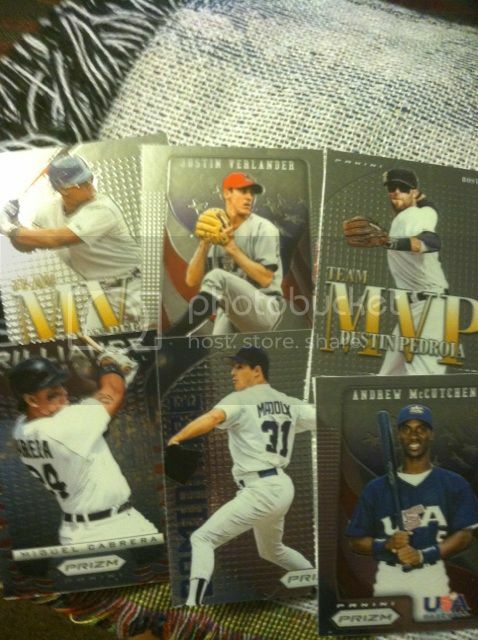 And finally the rookies with the symbol but are not True Rookies get placed into their own binder not by team as well. If there are any duplications, I keep em. 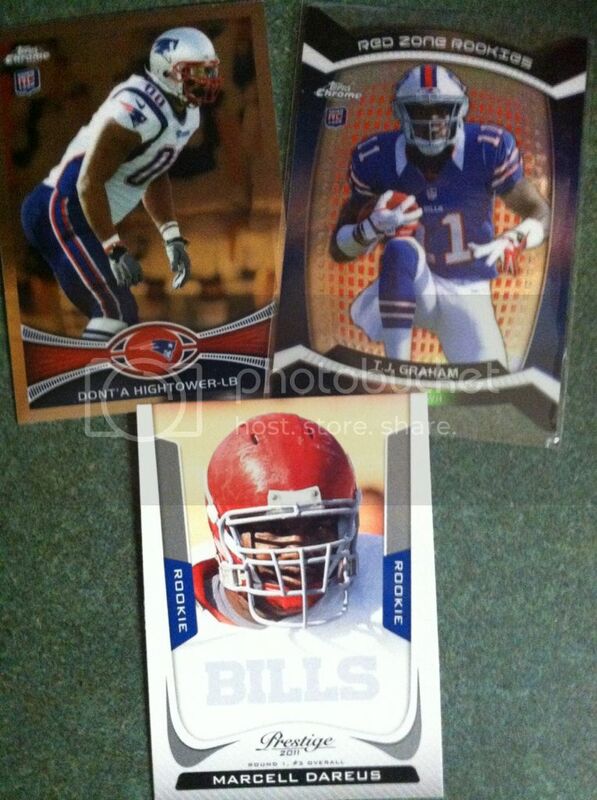 There is nothing like having rookie cards on hand True Rookie or not. 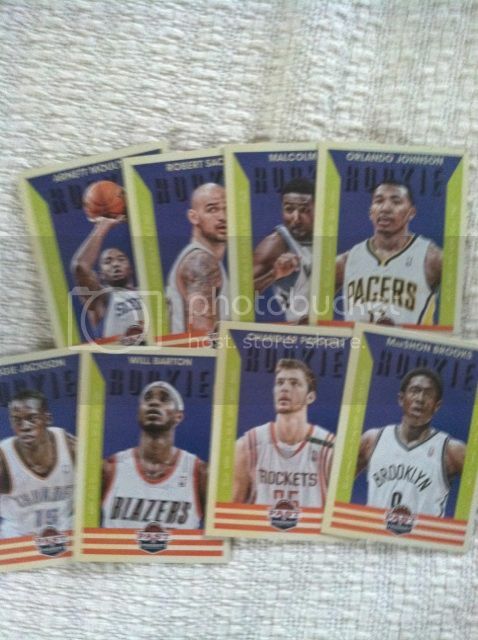 The hobby is built on rookie cards. Pile 5 of star players get sorted by player, then placed into a 800 count white box labeled Bsbll players on the outside. Each player is labeled and separated by index cards. I used to store these in binders but found it easier to use the boxes. If there are any duplications, those get pulled and placed into pile 7. Sometimes with these it takes extra work if you buy older products. I go through and search just to make sure I don't have any duplications between the new one I just got and to the older ones already in the box. Can be time consuming. Pile 6 can be the most time consuming of all. I take all of the base cards, sort them by number. I then place them into 800 count white boxes. I label them by brand and year. The outside of the box I put a number depending on what box I am on but for an example 7. I then take the number 7, write it into a book. And write the contents inside for easy searching. Depending on how many I have of each product, every box holds between 6-7 different brands. And finally this leaves us with Pile 7, which is the duplications. The inserts I use for giveaways on here among other cards I pull out as well :) The double base cards and star players I use to build the Yard Sale boxes I spoke of on here a couple of times. Now this seems like a lot of work and yes it is. So don't ever fall too far behind on sorting or buy too much at once lol. But I find this sorting really efficient and easy to find stuff you need or are looking for. Let me know your thoughts on this crazy sorting. And how you sort your baseball cards. So I thought what better time than the Stanley Cup playoffs and an upcoming hockey card season with twice the rookies. So with all of this Upper Deck excitement got me to thinking...how excited am I about the upcoming double rookie class season? I would say I am excited. 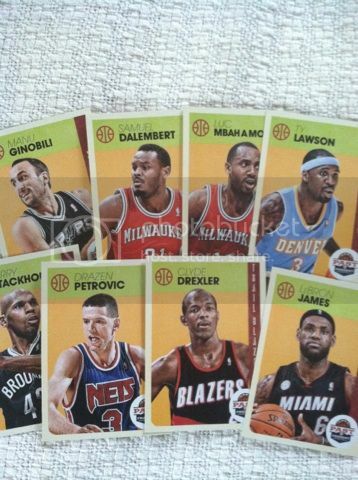 Though, I must admit, not as excited as I was about the double NBA class since I collect basketball a little more than hockey. But this hobby is built on rookie cards and next season's hockey card releases gives us twice the chance to get them and I might be right there trying to score some. When it comes to hockey, I don't buy big time. 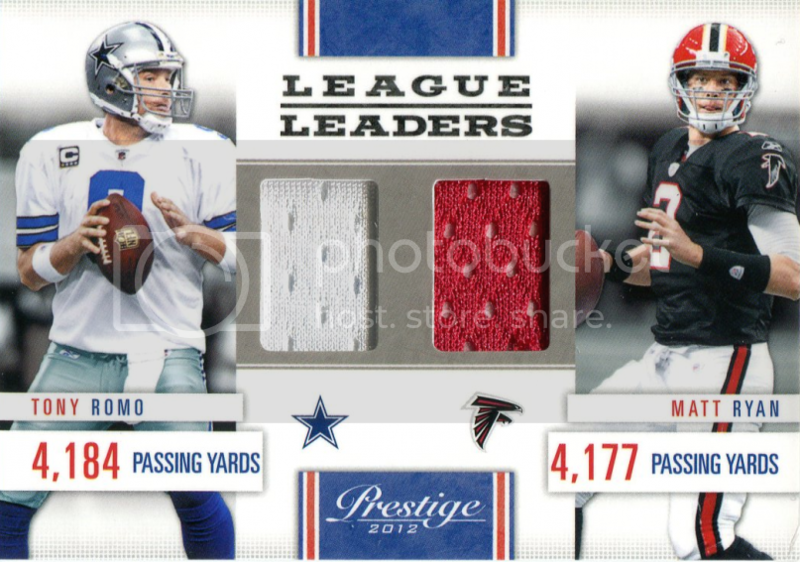 Usually base brands like Score and Upper Deck is where I sit on a yearly basis. I like those products, especially Upper Deck since the Young Guns are always the hottest rookies out on the market, cause they are built around rookies and there is a ton of rookies in the products to find. Not to mention they are cost efficient usually running between $.99-$3.99 a pack. Even though I am not into hockey as much as I once was, like I posted above, I do love rookie cards from any sport and if I can get them double time, I might buy into this excitement that Upper Deck is bringing for next year. And I would say that it is a great time to star collecting hockey cards if you haven't yet. And it to me sounds like from this excitement, that Upper Deck is a great place to start. Some of the things in the articles above Upper Deck is promising about their 2013-2014 products is less redemptions and more autograph content in packs from rookies who skated this year. They also are planning on some cards with Team Canada in their Olympic year. Not to mention, they also point out their exclusive autograph deals with the Great One Wayne Gretzky and Bobby Orr. And then there is the list of rookies who will most likely find themselves on cardboard next year Yakupov (I know I am going to definitely look for this guy), Huberdeau,Seth Jones, Gallagher, Grigorenko, Granlund, Hamilton, MacKinnon, Galchenyu to name a few. 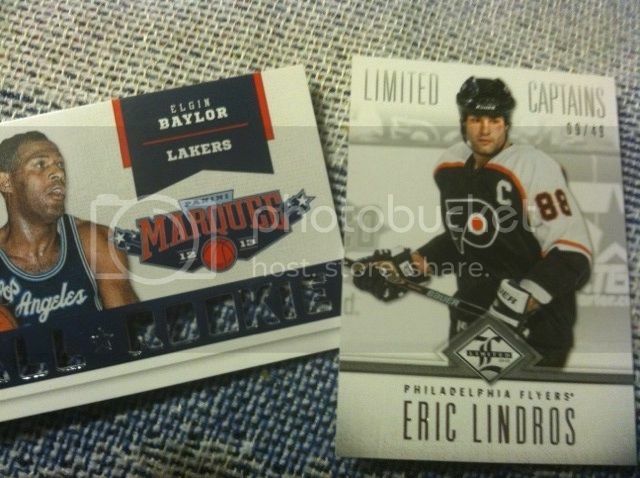 I think what Upper Deck is doing with their NHL cards is a good thing for the hobby. Why not bring the excitement early? Why not cause a ruckus to catch our attention? Why not try to expand the hobby to get more hockey card collectors? 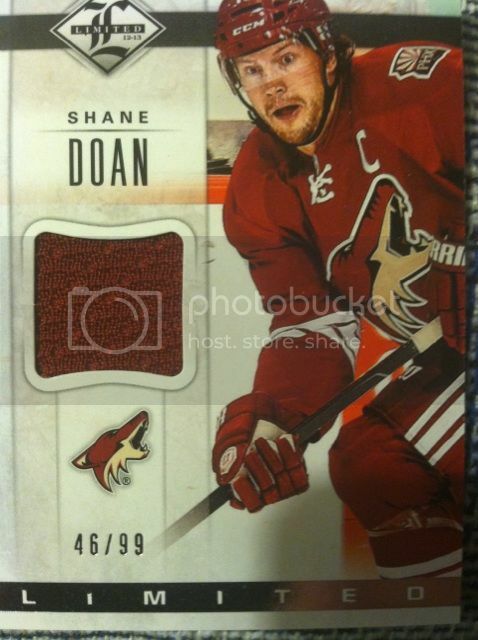 Why not get this blogger to finally write about hockey cards for the first time in awhile? Seems they have a lot going for their upcoming products and I would say out of all of the years that its probably a great time to start collecting hockey cards or start collecting them again. Less redemptions, more rookies, can't go wrong. Maybe with a double rookie card class next year it will spark me to do more articles on hockey cards. We will have to see. But for now we have got to ask, how excited are you about next seasons Double Rookie Class? Are you Upper Deck excited?